Dual board-certified in hematology and medical oncology. 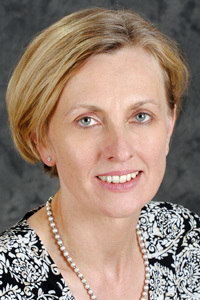 Beata Pieczara, MD, is dual board certified in hematology and medical oncology. She specializes in the use of chemotherapeutic drugs, immunology, targeted and hormonal therapies and the treatment for pain and symptom management. She received her medical degree from Warsaw University. She completed her residency at Bronx-Lebanon Hospital Center and her fellowship at Westchester County Medical Center.